From 2-7 February, the waters off Bitez, just to the east of Bodrum, saw Turkey's best 470 talent race at the 470 Winter Regatta, organised by the Turkish Sailing Federation with the support of the Municipality of Bodrum. 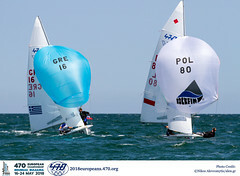 470 Class racing was held alongside the 420 fleet, with five races contested between the seven teams. 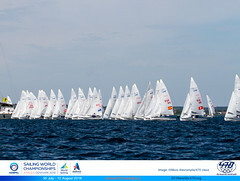 The first day delivered a 12 knot breeze and sunshine, with 2 races completed. Not surprising to find brothers Deniz and Ates Cinar claim the first win, following up with a 2nd place. Halil Emiral/Firat Sahin matched their results on the opening day, but in a diffferent order, scoring 2,1. 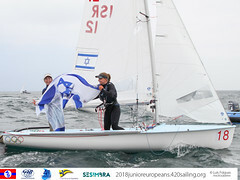 Same pattern for day 2, which saw an increased breeze of 15 knots, as these two teams traded places. The advantage however remained with Deniz and Ates, who claimed 2 wins from the 3 races and a second place, whilst Demirel/Sahin scored 2,2,1. Overnight, a significant storm filled in and the breeze kicked off up to 45 – 55 knots winds. The fleets kept well away from the race track, remaining hopeful racing could resume. But, there was no let-up in the storm over the remaining days of racing, with the day 2 leaderboard standing.